The South Australia work safety authority will not reveal how many portable structures are under watch across South Australia due to imported asbestos. It was revealed this week that a South Australia-based company is being investigated over imports from China which illegally contained deadly asbestosAsbestos imports have been banned for more than a decade. It remains unclear when the material was imported, how many of the company's portable structures might be affected and where they are located across the state. 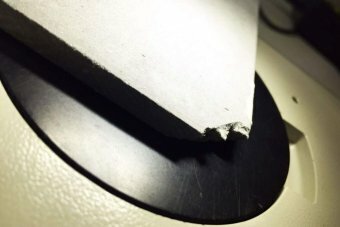 Australian Portable Camps said most of the tainted cement board had not been used for production and was now quarantined from use. It said it was working with government agency SafeWork SA to get rid of the material. It was revealed early this year that Adelaide contractor Robin Johnson Engineering unknowingly imported from China building products containing asbestos. The company said the materials had been certified as asbestos-free at the time of purchase and were used in flooring of two electrical substations on the Seaford rail line in Adelaide's southern suburbs. In March, the ABC asked Australian Border Force for a list of products sent to Australia by a Chinese company linked to the Seaford line contamination.